According to a Reuters report, the World Health Organization on Friday revealed that the death and burial of a 65-year-old woman in Mangina, Democratic Republic of Congo, was the critical event that triggered the latest epidemic of the disease. Ebola late July. 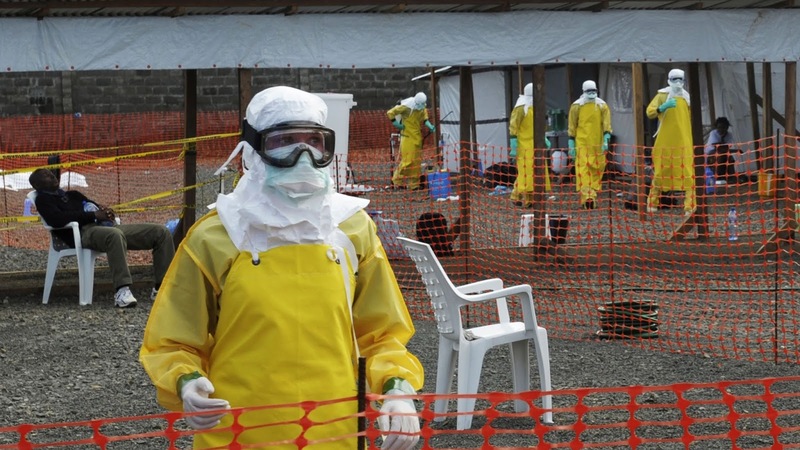 The head of the WHO emergency response, Peter Salama, said that seven members of the woman's immediate family later died of Ebola-like symptoms and that potential cases were now localized in ten localities. Aside from Mangina in North Kivu province, there were now suspicious cases in the local city of Beni and the neighboring province of Ituri, said Salama at a regular United Nations briefing in Geneva. WHO also warned that the Ebola outbreak in eastern DRC was probably tens of kilometers long and posed a high regional risk due to its proximity to borders. The Ministry of Health said four people were tested positive for the Ebola virus in and around Mangina, a town of about 60,000 in North Kivu province, 100 km from the Ugandan border. About 20 people died of unidentified haemorrhagic fevers in the region, mainly in the second half of July. On July 29, a previous outbreak on the other side of the Central African country was declared over after killing 33 people. "It seems that the risk, as we can assume for the DRC, is high, for the region, it is high given the proximity of borders, including Uganda," said the head of the response. WHO emergency, Peter Salama. "We are talking about tens of kilometers but I stress that this is very preliminary information at this stage." The Ebola virus would be transported long distances by bats and could end up in bushmeat sold in local markets and consumed. Once present in humans, it causes haemorrhagic fever, vomiting and diarrhea and spreads through direct contact with body fluids. More than 11,300 people died of an epidemic in West Africa from 2013 to 2016. This is the tenth epidemic of the vast forest country of Central Africa since 1976, when the virus was discovered near the Ebola River in northern Congo. This is more than twice as many epidemics as any other country. The response to the previous outbreak in Congo was considered a success despite the 33 deaths, as the use of a vaccine made by Merck helped contain the virus. The kind of Ebola in the latest outbreak has been confirmed as the strain of Zaire against which the vaccine protects Merck, said Thursday the Congolese Ministry of Health. This should allow health officials to use again what has become the best weapon against Ebola outbreaks to date. Yet this epidemic poses new challenges. Eastern Congo is a pudgeon of conflict over land and ethnicity, fueled by decades of ongoing war, which could hinder efforts to contain the virus. About 1,000 civilians have been killed by armed groups and government soldiers around Beni since 2014, and the wider region of North Kivu is home to more than one million internally displaced persons. Mangina officials rushed to educate people about the risks of spreading the virus in a city on Thursday as a local nurse told Reuters there was no ambulance service. Agents were deployed to warn people of the need for strict hygiene and the local radio station sent messages on how to act, a local journalist said by phone. "There is a great panic among the local population following the outbreak of the Ebola outbreak," said a nurse by phone, who asked not to be named. The hospital where she works has seen three people die recently from haemorrhagic fever. The hospital was waiting for help from the Red Cross to properly bury the bodies, she said. Meanwhile, Uganda has put in place a control at the land border that it shares with Congo and at Entebbe International Airport. "The Ebola virus is very contagious and we have put measures in place," Ugandan Youth Minister Sarah Opendi told Reuters. An international delegation comprising representatives of the UN, the World Bank and WHO is located in Beni, 30 km from Mangina.